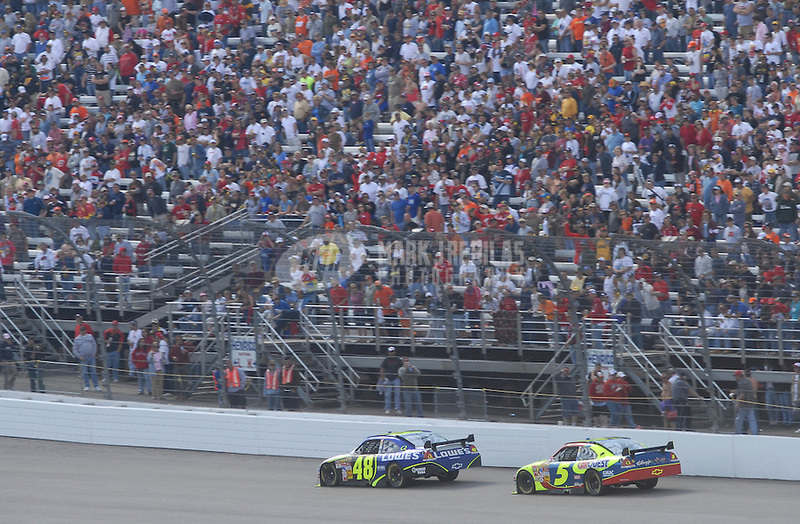 May 6, 2007; Richmond, VA, USA; Nascar Nextel Cup Series driver Jimmie Johnson (48) leads Kyle Busch (5) during the Jim Stewart 400 at Richmond International Raceway. The race is being run on Sunday after being rained out on Saturday evening. Mandatory Credit: Mark J. Rebilas-US PRESSWIRE Copyright © 2007 Mark J. Rebilas..